The folks at Mojang, the publisher behind the PC indie sensation Minecraft, "get requests every week," says the company's business development director. It's tough to figure out what's worth a "yes," and what gets a "no," but the company is listening to proposals to co-publish upcoming indie games. "We are in a great spot right now, we can basically do whatever we want to," Mojang's Daniel Kaplan told GamesIndustry.biz. "The hardest thing for us right now is to say 'no' to all the deals we're being offered." Kaplan characterized the offers as coming from a range of industry players, from hardware makers to advertisers to other publishers. "We're looking into publishing our own games too though, bringing indie games under our own brand." he said, hopefully by the fall. 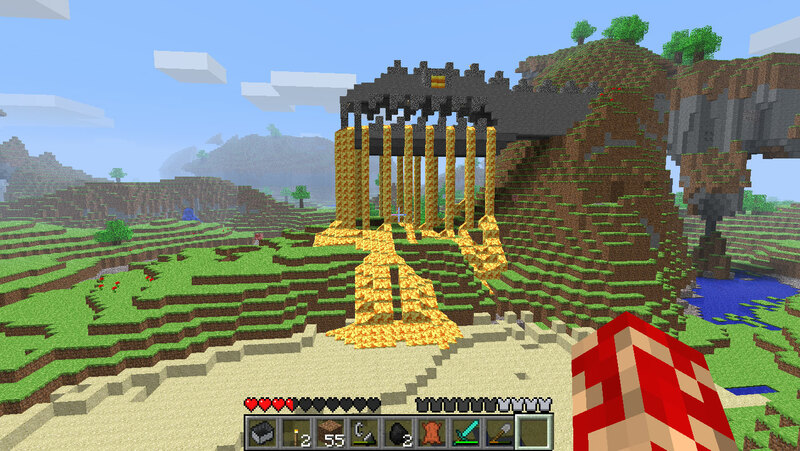 Kaplan also indicated that Mojang is interested in expanding from PC to console development. So are they moving into sort of a Paradox Interactive style business?? That can only be good. Though Sweden is close to Germany so maybe when Notch says indie he has his eyes monopolising the tractor Sim market?? Don't let good indie games be published under Mojang if Notch has anything to do with them. He's gotten rich and lazy, just take a look at the amount of work and content he puts into minecraft now! But it hardly needs any more work! Except that it clearly is meant to have a LOT more content considering it is still far from the release date. It hardly needs more content but still needs a lot more work. Why not publish through steam. I mean I personally don't have knowledge on the process but a lot of indie devs do it so their conditions cannot be that hard?